VISIT OF DELEGATION OF SENEGAL. October 26th, 2015. 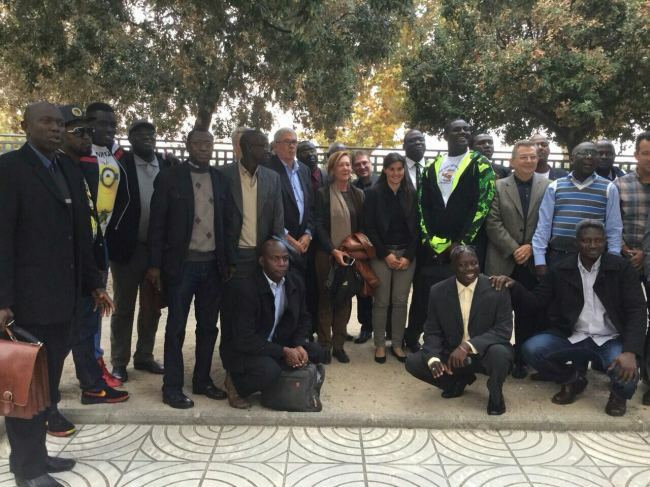 Last 26th off October 2015, the Community of Irrigators of the Ebre’s Right Side Canal (Comunitat General de Regants del Canal de la Dreta de l’Ebre) and DELTAMED welcomed a delegation from the Valley of Casamance (Senegal) in order to visit Ebro’s Delta. The main purpose of the visit was to set a workshop to promote the cultural diversity for the development socioeconomic in the region of Casamance River.